Before the interstates were built, Florida Avenue was one of the main thoroughfares leading into Tampa. 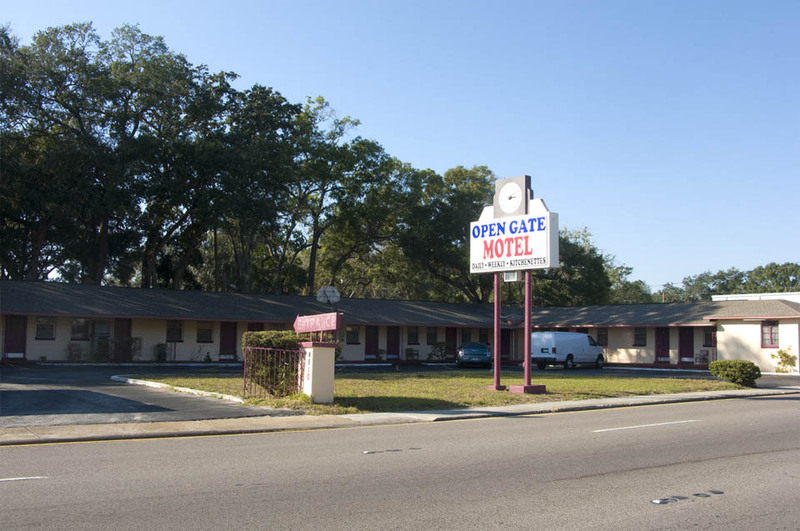 The Open Gate Motel, along with many other motels once located along Florida Avenue, welcomed visitors from the north heading towards downtown Tampa. You can see read more about Tampa’s neon signs in the book Vintage Tampa Signs and Scenes. 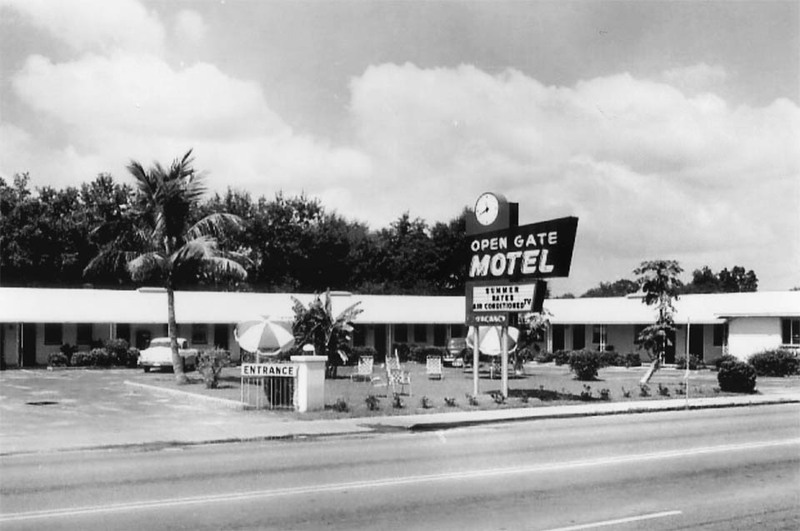 From December 1959 until the Fall of 1979, my parents Pete and Betty Brazeal owned this motel. We an excellent rating from AAA and had returning clients for all of those years. My parents treated people like family and my sister and I grew up there changing beds, answering the switchboard, cleaning rooms, even renting rooms!! It was a place to be proud of and it was a great place to hold pajama parties when I was in high school (Hillsborough High School). We had one huge room with two beds in the main room and a double bed in a second room within the unit — many a pizza was eaten, many a coca-cola drunk and much girl chatter was had. I am sorry that it has apparently deteriorated — my parents would have never let that happen. Good memories for me. Going off subject a bit but, what happened to the food? It was always delicious – even at Woolworths! These days, most food is bland or just plain bad.